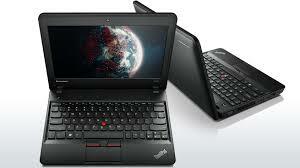 Lenovo ThinkPad X131e Chromebook is one tough notebook and it is bringing Chrome OS to schools. This device has a rubber bumper around the top cover, reinforced ports to minimize chances of accidental damage and corners made 33% stronger to reduce damage when the device is dropped. The ThinkPad X131e Chromebook has an 11.6-inch (1366 x 768) LCD anti-glare display, Intel processor, WiFi, and three USB ports. The Chromebook weighs 3.92 pounds in total. Other features include a battery described as sufficient “for the entire school day.”, low-light webcam, HDMI and VGA ports. Google Apps for Education services will be available straight out of the box to students. Customization can be made to the device including asset tagging and unique colors for each student. This allows schools to etch their logo on these devices. With asset tagging, the institution can track the Chromebooks once they leave the school property. The device is offered to schools at the price of 320 euros when purchased in volume. Individual purchases are expected to fetch a higher price.